According to the latest news, Trump's consultants have used Facebook data to profile potential voters during his presidential campaign. Information of more than 50 million users on Facebook has been gathered and misused to not only learn about their preferences but also deliver political ads. Dr. Aleksandr Kogan is a psychology professor at University of Cambridge and helped the consultants to gain data about the potential voters via personality prediction app called “thisisyourdigitallife.” This application claimed that the information is used for research by psychologists while A. Kogan provided it directly to Christopher Wylie. We are suspending SCL/Cambridge Analytica, Wylie and Kogan from Facebook, pending further information. Traditional analytics firms use previous voting records and purchase history to build the profile of the potential voter. However, this information cannot help to predict their behavior precisely. Likewise, the founder of Cambridge Analytica, C. Wylie contacted A. Kogan for help. Later, the “thisisyourdigitallife” app provided details about its users' locations, “likes,” and even data about their friends. By using such information, Trump's consultants could link people's preferences with approximate locations and have a broader view on how to reach its potential voters. We are committed to vigorously enforcing our policies to protect people’s information. We will take whatever steps are required to see that this happens. We will take legal action if necessary to hold them responsible and accountable for any unlawful behavior. Social media platform has made several alterations during the past five years to ensure a safe experience for every Facebook user. This includes the changes in the verification process of the new apps for Facebook. Now, all applications requesting informative details about the user are addressed to App Review Process where developers are closely inspected and asked to confirm their intentions. Before you decide to use an app, you can review the permissions the developer is requesting and choose which information to share. You can manage or revoke those permissions at any time. ^ Ian Sherr. 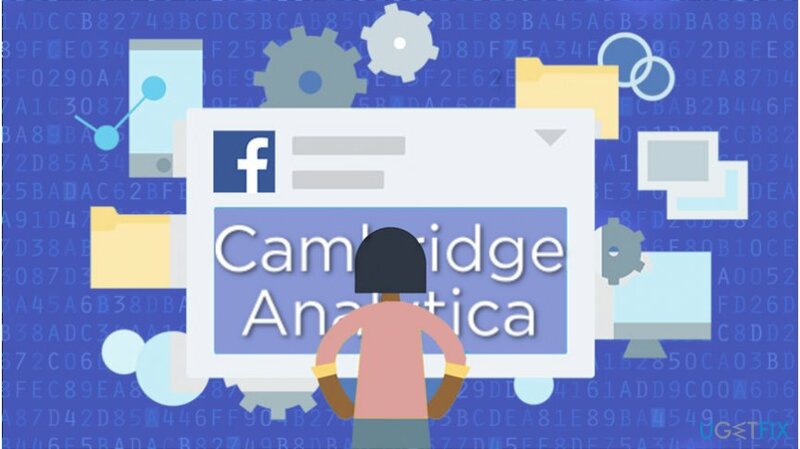 Facebook, Cambridge Analytica and Trump: What you need to know. CNET. Product reviews, how-tos, deals and the latest tech news. ^ Karissa Bell. Everything you need to know about the Cambridge Analytica controversy. Mashable. Tech News. ^ Paul Grewal. Suspending Cambridge Analytica and SCL Group from Facebook. Facebook Newsroom. News. ^ Matthew Rosenberg, Nicholas Confessore, Carole Cadwalladr. How Trump Consultants Exploited the Facebook Data of Millions. The New York Times. Breaking News, World News & Multimedia. ^ Hilary Osborne. What is Cambridge Analytica? The firm at the centre of Facebook's data breach. The Guardian. News, sport and opinion from the Guardian's US edition. This entry was posted on 2018-03-19 at 01:30 and is filed under News.